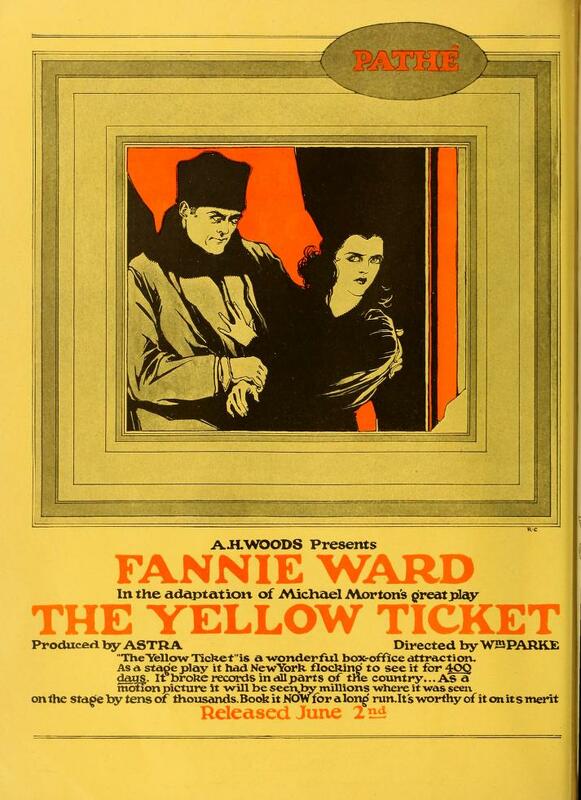 The Yellow Ticket is a multimedia event featuring a rare German silent film starring a young Pola Negri, with an original score by renowned klezmer violinist/vocalist/composer Alicia Svigals, performed live along with Toronto’s virtuoso new-music pianist Marilyn Lerner. “The Yellow Ticket,” a very early production of the German film company UFA-Pagu, was made at the end of World War I and on the eve of the Russian revolution. It stars an adolescent Pola Negri, who would later become the legendary femme fatale of the silent era, and tells the story of a young Jewish woman from a Polish shtetl who is constrained by anti-Semitic restrictions to lead a double life in a brothel while attempting to study medicine in Tsarist Russia. The film includes precious footage of the former Jewish quarter of Warsaw and the people who once lived there. Please contact The Michigan Theater at 734-668-8397 for up-to-date accessibility information.